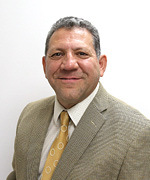 Sergio Coronado was appointed to the Canutillo ISD Board of Trustees in 2018. He had previously served on the CISD school board from 2002 to 2014. During his four terms, he has served both as the President and as the Secretary of the Board. A 1978 graduate of Canutillo High School, Mr. Coronado has a bachelor’s degree from the University of Texas at El Paso and a law degree from the University of Texas at Austin. He is a respected lawyer practicing criminal law who is seen as a major political influence in the community. Mr. Coronado is a driving force behind the Canutillo Alumni Foundation for Education, a non-profit organization aimed at providing scholarships to college-bound CISD students. Mr. Coronado has three children, all of whom are Canutillo High School graduates. Mrs. Trout attended EPCC, holds an Associate’s degree in Business Administration and is a business owner. 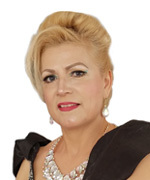 She was recently appointed as Vice-Chair of the El Paso County Republican Party where she has been an active member of the El Paso GOP serving as Deputy Voter Registrar, Voting Poll Election Clerk, Alternate Election Judge, Judge and a Delegate in the El Paso County and Texas Republican Convention. Mrs. Trout also has a certified license in aeronautics from the National Aviation Authority of Civil Aeronautics in Mexico. She is certified in adult, child & adolescent mental health and holds a certified teaching diploma from NAMI & the Alzheimer’s association. She also holds certifications from the El Paso Behavioral Health System and UT Health Science Center focusing on children with disabilities as well as geriatric patients. Mrs. Trout is also a Girl Scout leader and Honor Guard Commander of the Girl Scouts of the Desert South West council, and is also a certified teacher in folkloric dancing from Bellas Artes. Mrs. Yglesias is a lifelong resident of Canutillo and a retired employee of the Canutillo Independent School District. After raising her children, she dedicated her time to students of the District as an office manager at several campuses and offices throughout Canutillo ISD. Annette Brigham recently retired as associate superintendent from Canutillo ISD in 2016 after serving this district for more than 28 years. Throughout those years, Ms. Brigham served as a high school teacher, technology director, career education director, and principal at Bill Childress Elementary and Alderete Middle School. These schools exceeded state standards during her years as Principal. She is dedicated to the students, employees and community members of Canutillo. Her knowledge in education leadership and student accountability will serve the district well during her tenure on the school board. Mr. Salvador Payan is a graduate of Canutillo High School, attended The University of Texas at El Paso as a Criminal Justice major, and a U.S. Navy Vietnam veteran. He served as the Deputy Chief of Staff for Congressman Silvestre Reyes for 15 years. He retired from the U.S. Department of Justice Bureau of Prisons at La Tuna Federal Correctional Institution. Mr. Payan is very involved with the Village of Vinton participating in the Planning and Zoning Commission and also served on the Canutillo ISD District Advisory Committee. His children are also all graduates of Canutillo High School. Armando "Mando" Rodriguez is serving his fourth term on the Board of Trustees, where he has served as President, Vice President and Secretary. He is also involved on a variety of education and community boards in the State of Texas and nationally, including the Mexican American School Board Association where he serves as President, the Texas Association of School Boards where he serves as the Region 19, Position B representative on the Board of Directors, the National School Boards Association Hispanic Council of School Board Members where he serves on the Board of Directors representing the Southern Region, the National Association of Latino Elected and Appointed Officials Board of Directors, and the former President of the Far West Texas School Board Association. Mr. Rodriguez is a proud graduate of Canutillo High and UT El Paso. Laure Searls was first elected to the Board in 1994 and has been elected as an officer during each of her past four terms. She has served as President during two terms, Vice President one term and Secretary one term. She is a dedicated and strong advocate for the children of the Canutillo community. Her involvement in the school district spans 25 years. Three area governmental agencies selected her to serve on the Board of Directors for the Central Appraisal District in El Paso. She has always been an active member of the community and strives for excellent leadership in her role as a trustee.